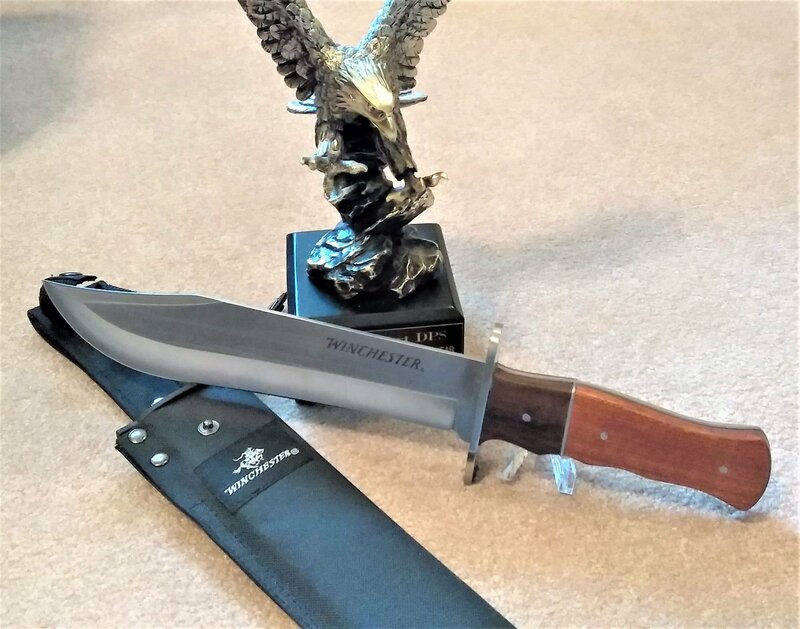 Winchester - Bowie Knife w/9" 420 Stainless Steel Blade. 2-tone hardwood handle. Stainless steel finger guard. Ballistic nylon sheath. Measures 14" L. Weighs 1 lb. 3 ozs.